No buildings to block your views! 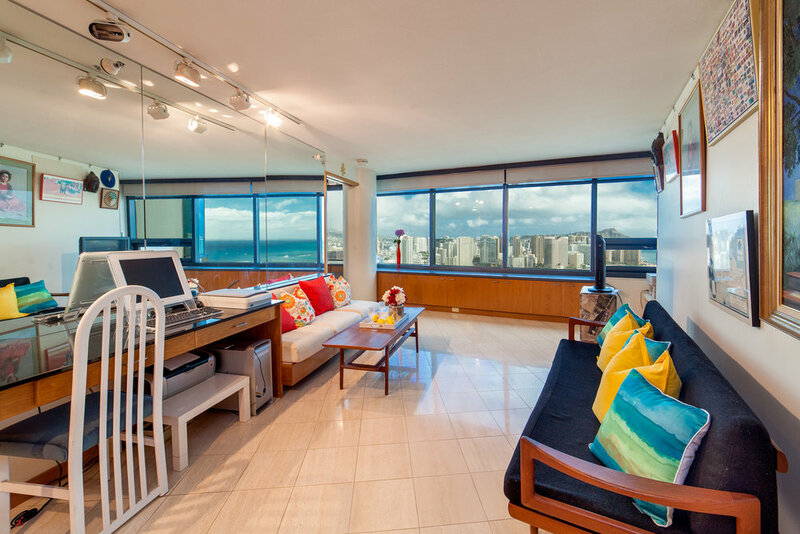 Enjoy magnificent direct Diamond Head and ocean views from this high floor semi-penthouse condo! Use of the penthouse elevator, zips you up to this beautiful 1-bdrm with marble flooring, double window treatments and built-ins drawers and shelving systems galore for extra added storage and the best use of space! See this before it’s gone!